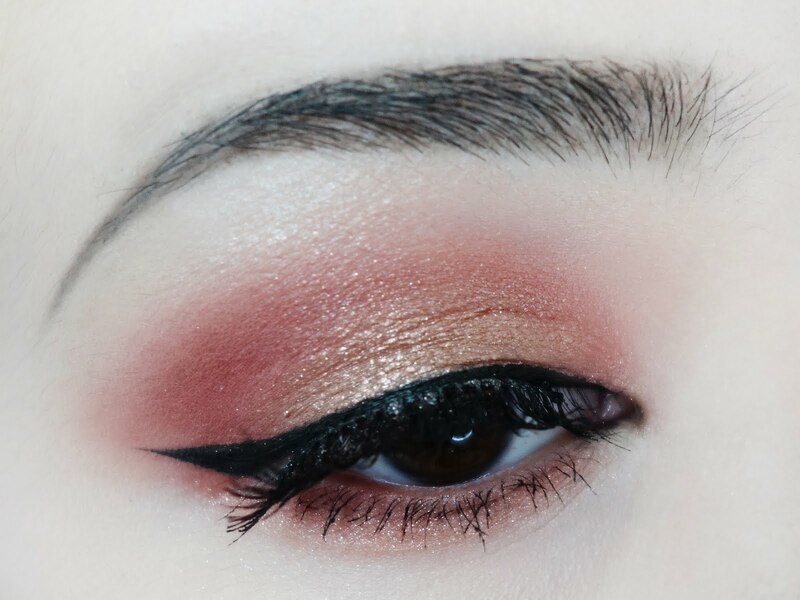 So glad that I finally purchased this palette. 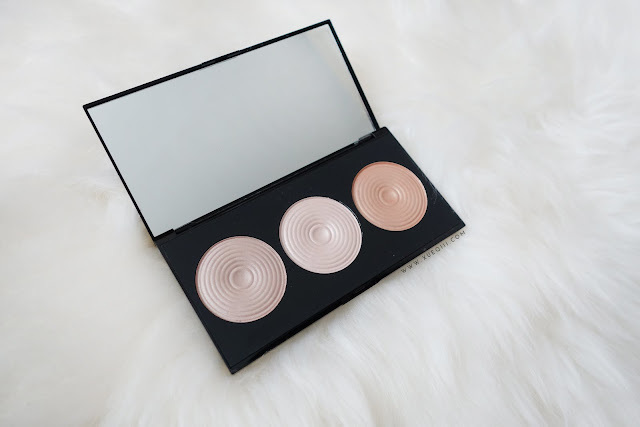 Sephora Sg recently just brought in the Hourglass range and their Ambient Lighting Palette was sold out for quite a while. I'm glad that I passed on those and only got a blush from them - which I loveeeee. 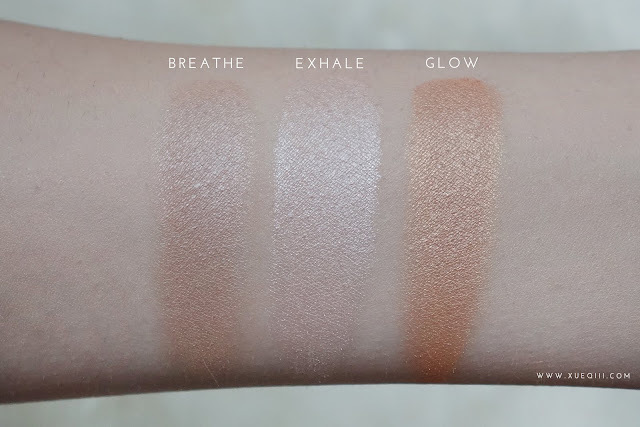 So back to the topic, the Makeup Revolution Highlighter Palette in Radiance has been said to be a very close dupe for the Hourglass Palette - maybe just a hair more shimmery according to some comparison swatches. 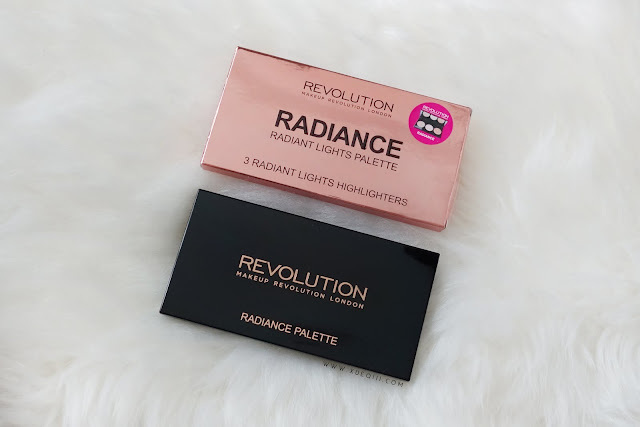 First of all, the rose golden packaging is so beautiful and it would be amazeballs if the palette itself was the exact same colour as the packaging.. It would be PERFECT! 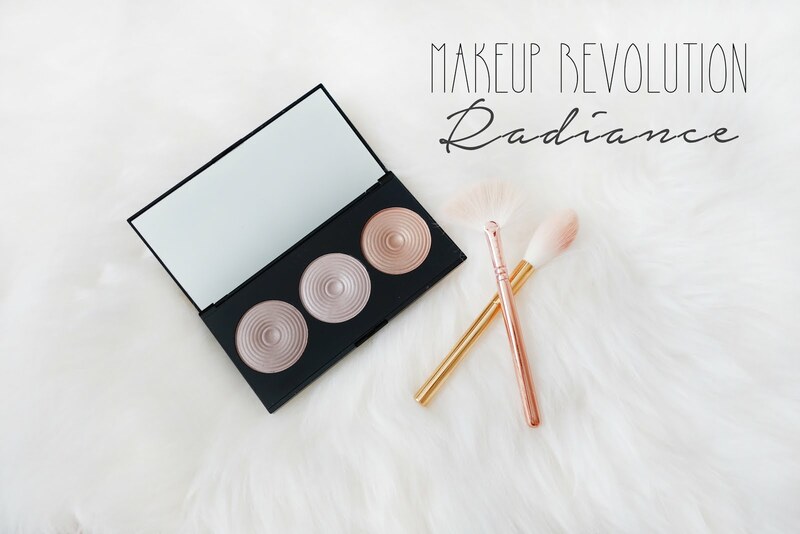 The palette itself comes with a generous sized mirror like all Makeup Revolution palettes. 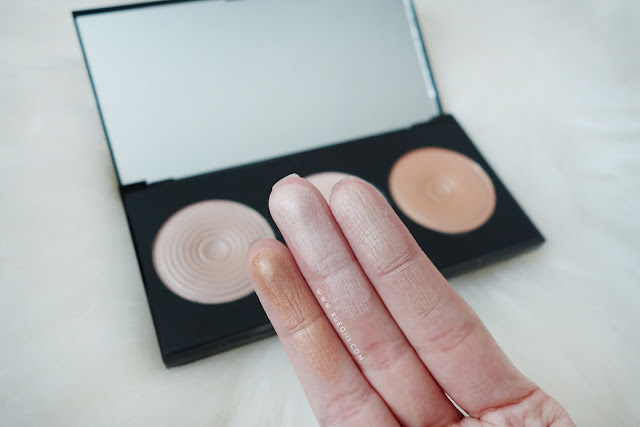 These powders look so high end and pretty both in photos and in person. The pan-size are huge too. The entire palette is 0.52 oz. 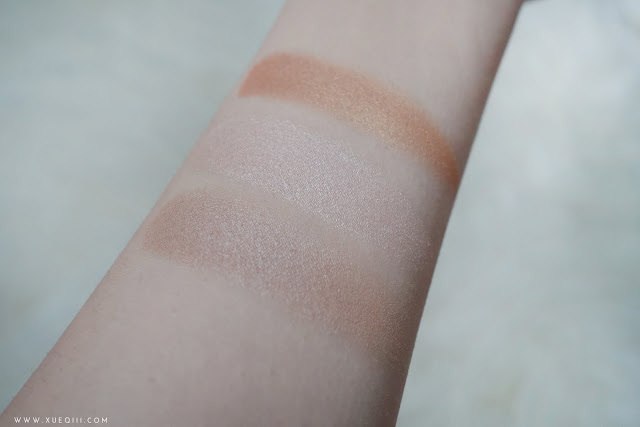 They aren't as smooth as the Hourglass powders but they are decent for the price. I got them for S$25 on Carousell. They are retailing for US$15 on Ulta. 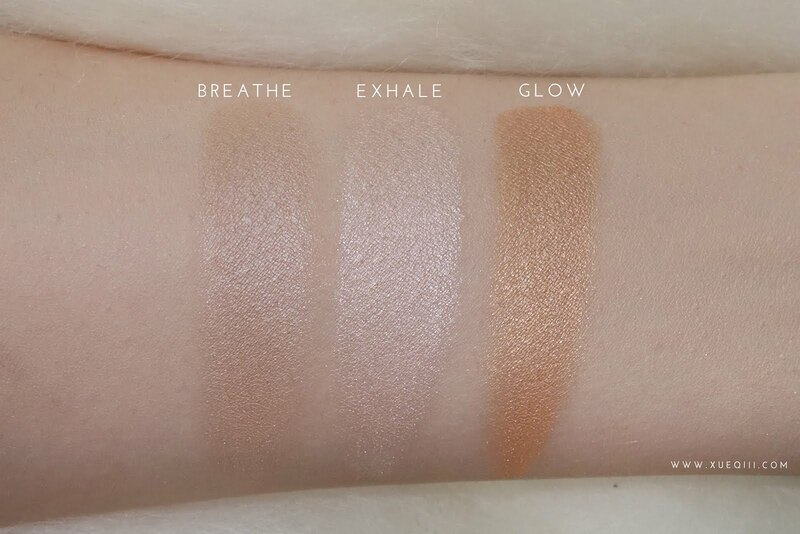 Breathe is a great all over the face kind of powder if you want a nice glow all-around. Exhale is pretty light for my skin tone, so I like to use it only on the high points of my face. 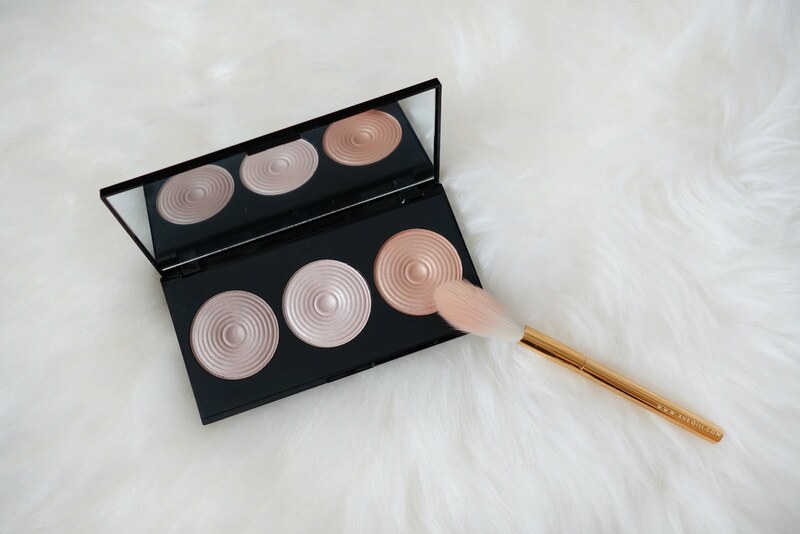 Glow is a golden bronze powder that is perfect as a bronzer topper. Here's a swatch of the Hourglass Palette that I got from this blog (Makeupforlife.net). 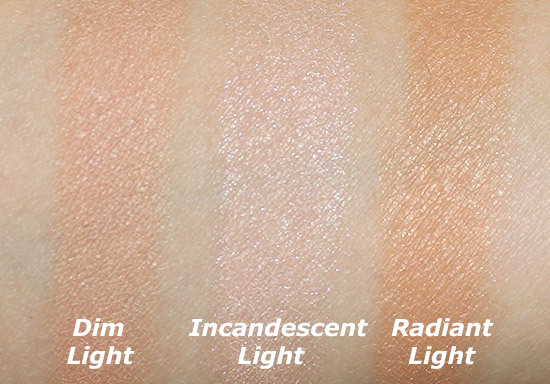 You can tell that the Hourglass ones are less shimmery and has a more natural sheen, expect for Incandescent Light which has the most shimmer and is great as a highlight. 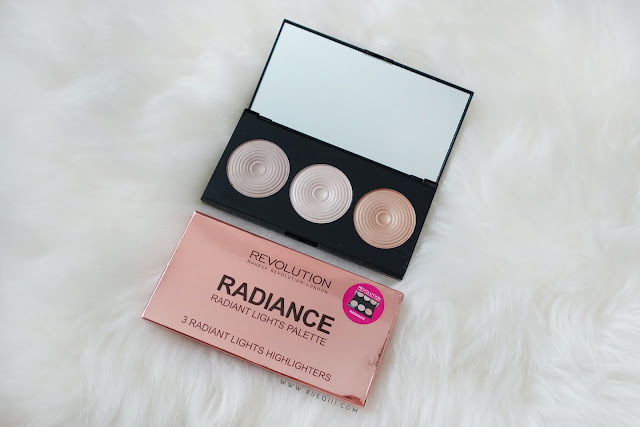 Overall, I do enjoy using the Makeup Revolution palette and it gives me a very subtle all around glow. 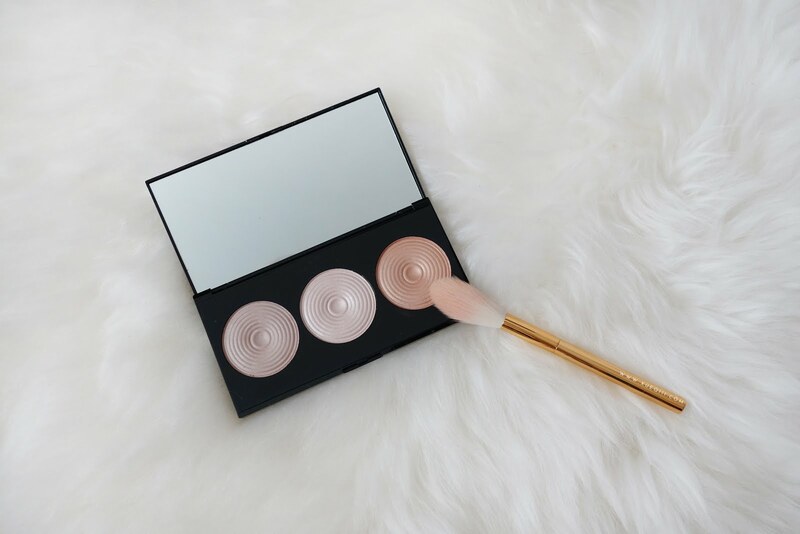 Just do not go too heavy with it as it has more shimmers. I like to use it with a fluffy brush like the Morphe M500 or the Tarte Blush Brush in my photo - tapered pointed brush.